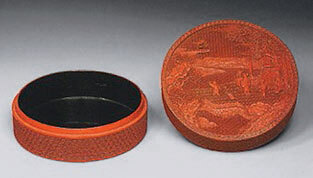 A lacquer box of foliate form with straight sides, terminating in lipped rims. 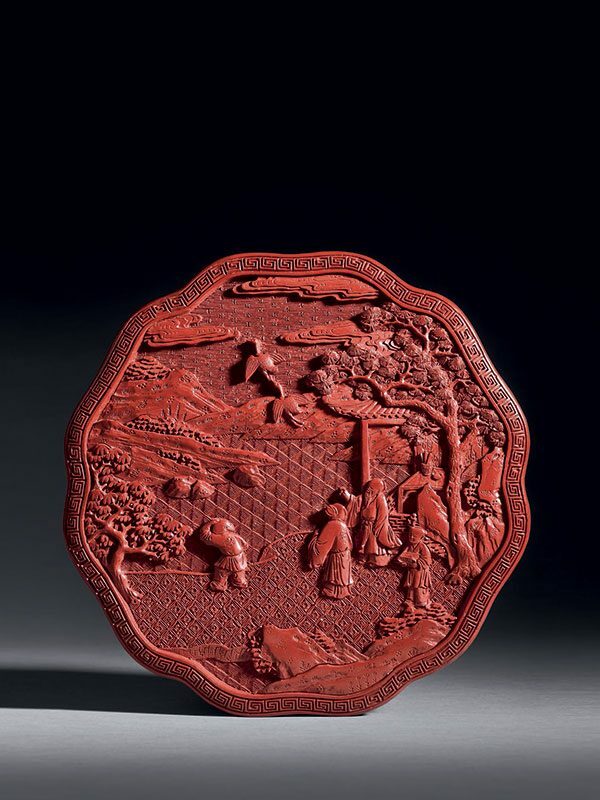 The flat top is carved through a thick layer of red lacquer and depicts two scholars, accompanied by two young attendants, standing beside a pavilion and watching two cranes in flight in the sky over a river landscape. 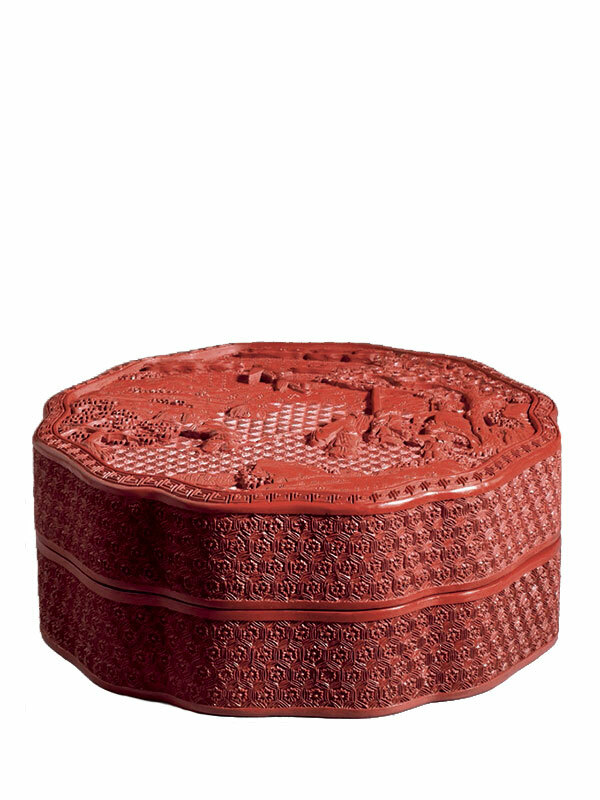 The pavilion, which stands on a rocky promontory in the shadow of a large pine tree, is minutely carved with a scholar’s desk, a brush pot, books and a screen at the back. The background of the scene has three different types of diapers representing land, water and sky. The scene is framed by a single key-fret band. The sides are carved with hexagonal diaper pattern. The interior and the base are lacquered in black.